HOW WE MET: We met at Germantown High School. Our first date was dancing the night away at Junior Prom. We’ve been together ever since. 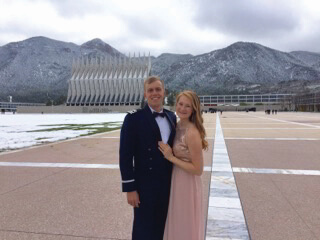 He went away to the Air Force Academy for Materials Chemistry, and I went to Union for nursing. Long distance for 4 years has been very challenging, but it taught us to communicate well and cherish the days we did have together. 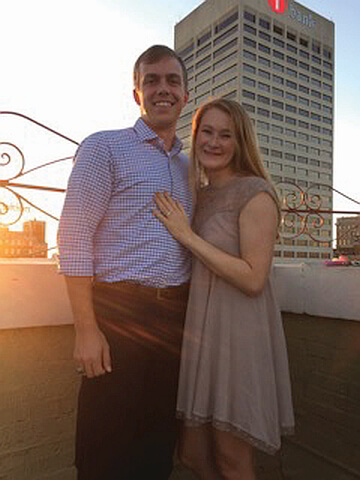 After asking my dad for his blessing over a Waffle House breakfast, he surprised me with a proposal on the rooftop of the Peabody Hotel as the sun sank over the Mississippi River on July 29th. 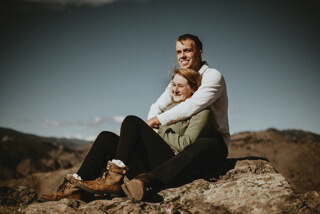 We can’t wait to tie the knot and go wherever the Air Force sends us!